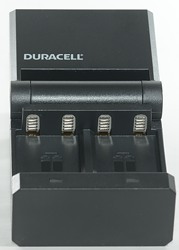 Duracell has broad selection of batteries and do also have the chargers to charge the rechargeable types. This is a fairly fast charger, but the specified 45 minutes is not correct! I got the charger in a blister pack. As can be seen on the pack the charger needs 45 minutes to charge batteries, but this is only valid if you got some special low capacity cells. 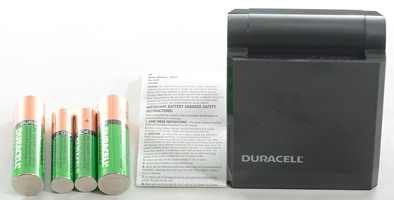 The pack contained the charger, a instruction sheet and some low capacity batteries. 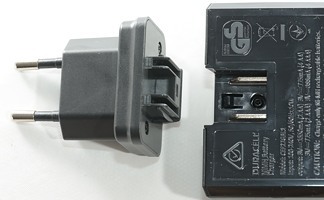 The charger is designed with a replaceable plug, but only one is supplied. 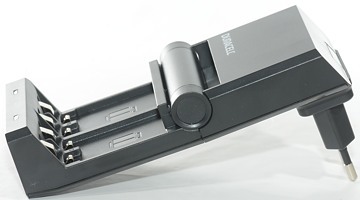 The charger is foldable, it can only charge when open (Batteries will not fit when closed). The only user interface is two red leds, one for slot #1 & #2 and one for slot #3 & #4, i.e. the charger can only charge two or four batteries at a time. The led is red while charging and will flash on error. When charging is done they change to green. 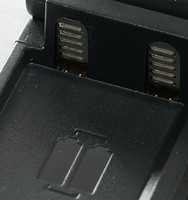 The charger has the typically two level slots used for AA and AAA batteries. Faults, like putting full batteries in the charger, will make the red led flash. 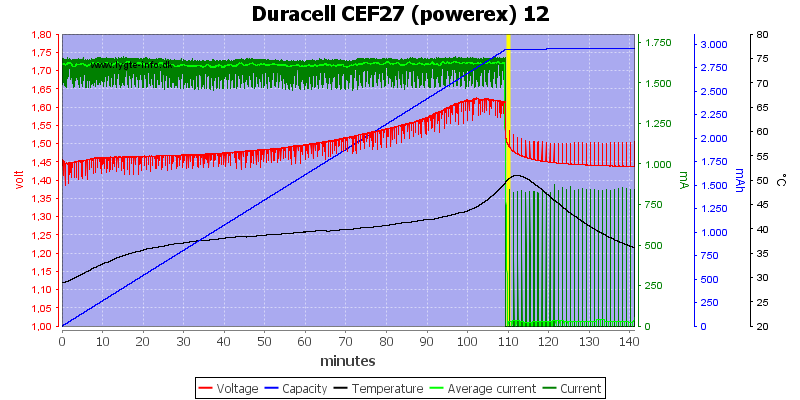 Charges two cells in series. 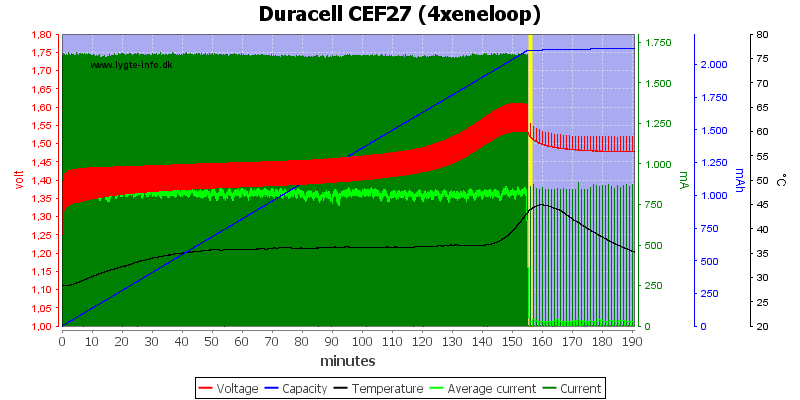 With 4 cells it will time share the charge circuit between them, halving the charge rate. The charger uses a fairly high current (But not too high for normal NiMH cells) and terminates on -dv/dt. 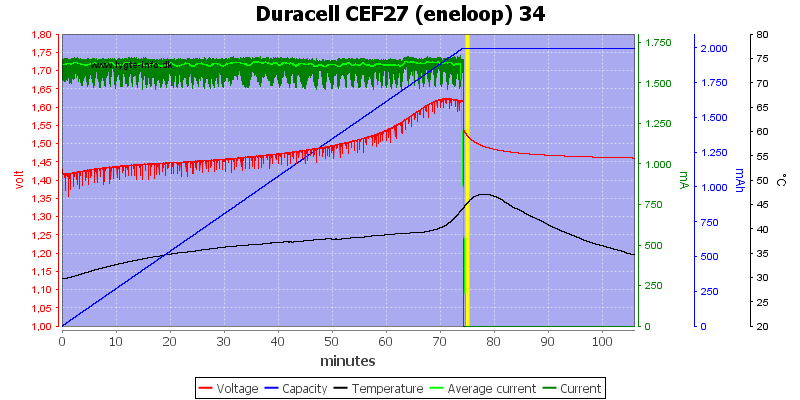 Charging two 2000mAh cells did not take 45 minutes, but nearly 80 minutes! Slot 3 and 4 looks like 1 and 2. It do also terminate fine with the Pro and powerex cells. 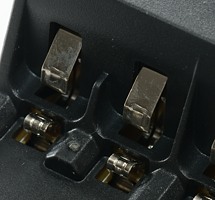 The AAA is handled fine and the charger uses a lower current. 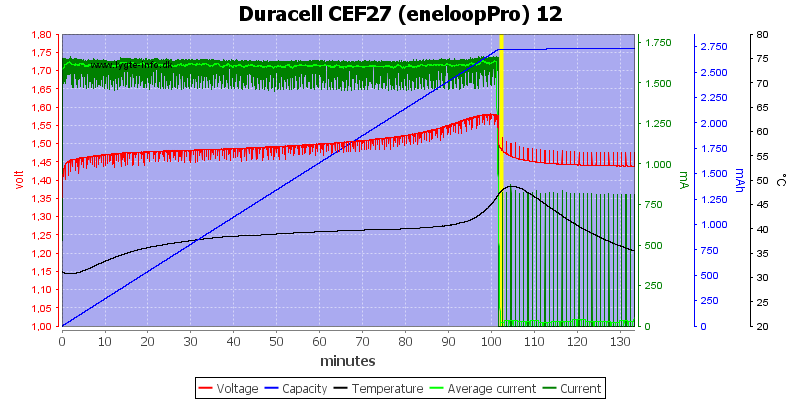 Sometimes the charger will report error on a full cell, this time I got it started, but only for a short time. 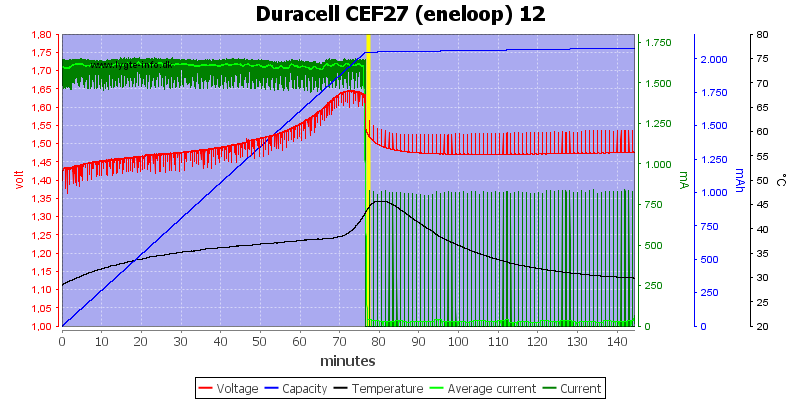 With four cells the charger will halve the charge speed and it takes a bit more than 2½ hour to charge 2000mAh eneloops. This is not very impressive for a charger that is sold as a 45 minute charger. 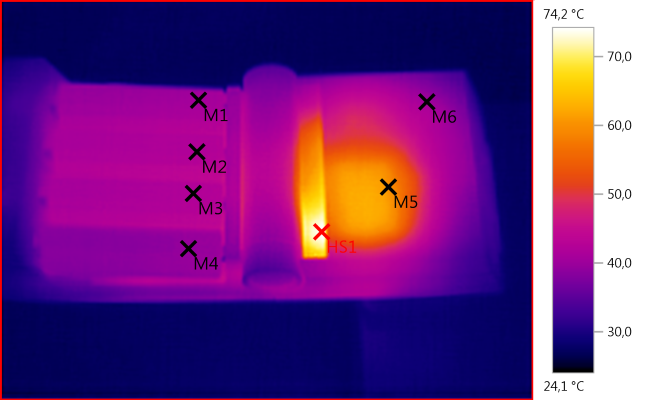 This charger design has an advantage for thermal management, the hot parts of the charger are kept away from the batteries. The charger only needs about one second to startup. 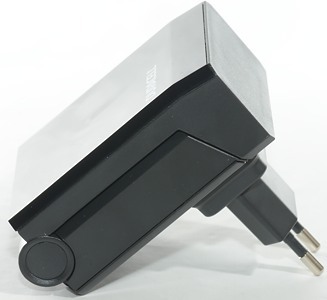 With four batteries the charger uses time sharing and only charge each pair half the time, i.e. the charge time is doubled. 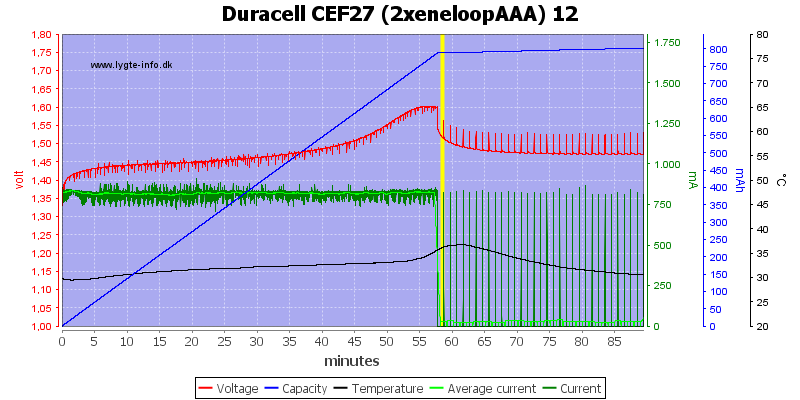 With AAA cells it will use a lower charge current. 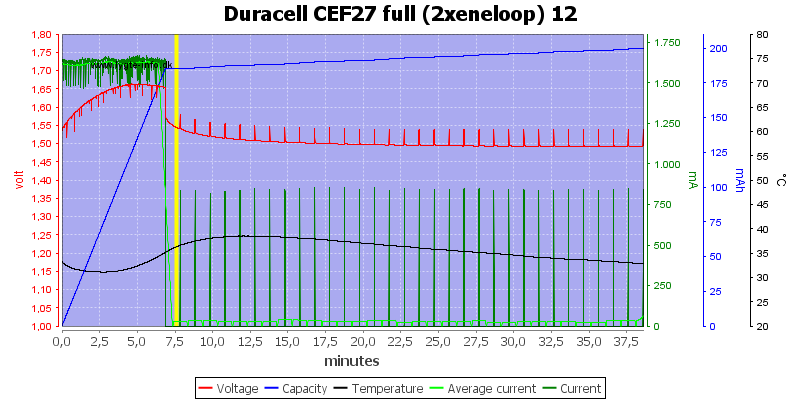 Trickle charging is done with pulses at low current. This means the average trickle current is about 25mA, this is not perfect for LSD cells. This charger works best with batteries used in pairs, i.e. if all you equipment uses two or four batteries. I do not like chargers with that limitation, I prefer models that can handle each cell individually. The charge speed on the package is nearly a lie, the 45 minutes is only valid for some special low capacity batteries and only two at a time, for more normal charging with 4 cells and 2000-2500mAh it takes around 3 hours. 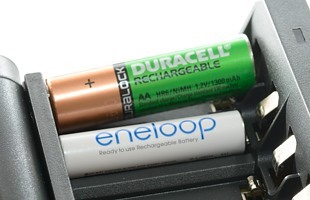 If you mark your batteries and uses them in pair the charger can be used, but if you have anything that uses a single (or 3) AA/AAA, it is not the charger to get.